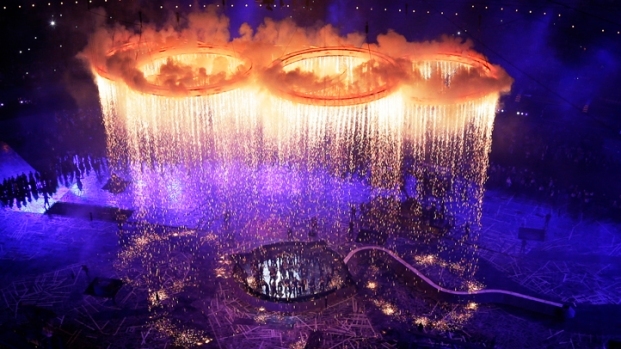 The Olympic rings are lit with pyrotechnics during the Opening Ceremony at the 2012 Summer Olympics, Friday, July 27, 2012, in London. About 40.7 million people tuned in. An opening ceremony from the mother country with a Beatle, a queen and Mr. Bean proved irresistible for viewers in the United States, with a record-setting 40.7 million people watching NBC's first night of summer Olympics coverage. 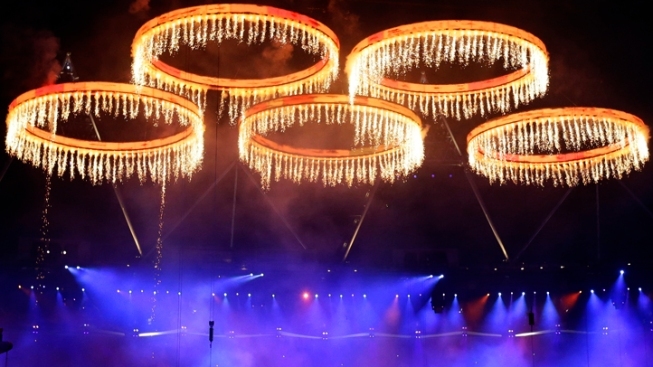 The Nielsen company said Saturday that London's opener was the most-watched opening ceremony of any summer or winter Olympics. It topped the previous mark of 39.8 million people who watched the 1996 games in Atlanta begin, and the 34.9 million who watched the colorful first night from Beijing four years ago. The London ceremony featured an unusual made-for-TV stunt featuring actor Daniel Craig portraying James Bond escorting the real-life Queen Elizabeth II to the ceremony and ended with Paul McCartney's anthemic "Hey Jude." But according to Twitter, the biggest spike in tweets came when actor Rowan Atkinson ("Mr. Bean") appeared in a "Chariots of Fire" homage. 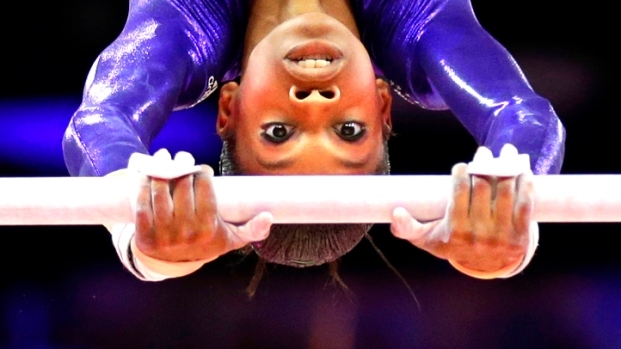 NBC Universal also earned a measure of redemption from critics. The company, which began streaming all of the Olympics competition online live on Saturday, was blistered on Twitter Friday by people who wondered why the opening ceremony wasn't shown live (it was aired on NBC on tape delay, since London's time zone is five hours ahead of the eastern United States). But four years ago in Beijing, NBC learned such complaints only increased buzz and made people more interested in watching it on TV in prime time.